Hillary Clinton turned some heads at Wednesday's Univision/CNN Democratic debate when she said that she's "not a natural politician." To some, that statement was obvious; to others, it was ridiculous. So, is Hillary Clinton a natural politician? Well, that depends on what your definition of "natural politician" is. Clinton made the comment in response to a question about her trustworthiness. After citing a poll showing that only 37 percent of people considered the former secretary of state honest and trustworthy, moderator Karen Tumulty asked Clinton if there's "anything in your own actions and the decisions that you yourself have made that would foster this kind of mistrust?" In a somewhat lengthy response, Clinton said, "It's not easy to do what I think is right," before launching into, "I am not a natural politician, in case you haven't noticed, like my husband or President Obama." She added, "So I have a view that I just have to do the best I can, get the results I can, make a difference in people's lives, and hope that people see that I'm fighting for them and that I can improve conditions economically and other ways that will benefit them and their families." Is Clinton a "natural politician?" It's not an easy question to answer. On the one hand, it may seem silly to claim that someone who's been working in Washington for over 15 years (or 20, if you consider her time as first lady) isn't a "natural politician." After all, how could anyone survive a public service career for that long if they didn't at least have some natural political skills? As secretary of state, she was very effective at consolidating and exercising power behind the scenes, and she managed to position herself as one of the strongest frontrunners in history before even entering the 2016 Democratic primary. All of these are signs of natural political talent. On the other hand, there's a strong argument to be made that Clinton does lack a certain type of raw political skill. As she herself stated, she doesn't possess the natural charm, charisma, or slipperiness of many successful politicians — think Bill Clinton, George W. Bush, or John F. Kennedy. Sometimes, Clinton gives awkward answers to uncomfortable questions: She had a very tense exchange with NPR's Terry Gross over her stance on gay marriage, for example, and drew widespread criticism for a press conference about the email scandal that many perceived as evasive and terse. 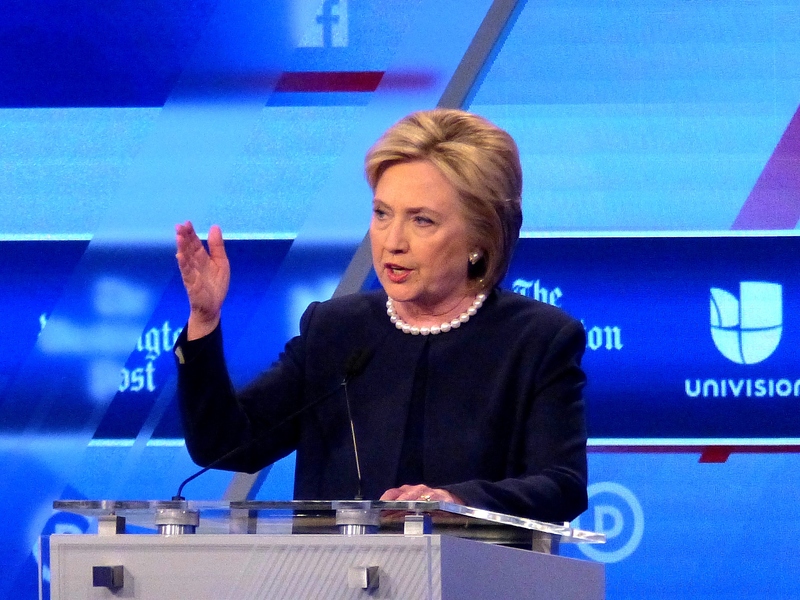 Whether Hillary is a natural politician, then, is debatable. And appropriately, Twitter was divided on the question. One thing's for sure: If Clinton ends up becoming the 45th president of the United States, there won't be too many people questioning her political talent then.